When the plunger is pressed on a new face powder container, the right amount of powder for one make-up operation is sprayed on a puff. The plunger expels the powder in a fine mist, much as an atomizer sprays liquid. The stream of powder is easily directed where it is wanted. When carried in this container, powder is kept from sifting through the other contents of a handbag, as it sometimes does when an ordinary compact is used. No woman I know who wears makeup would use this. Spraying out the powder so it gets all over your hands and clothes (and it would have to given that gadget)? Some inventor’s idea of what the “right amount” is, when it differs not just for every woman but also for every instance? 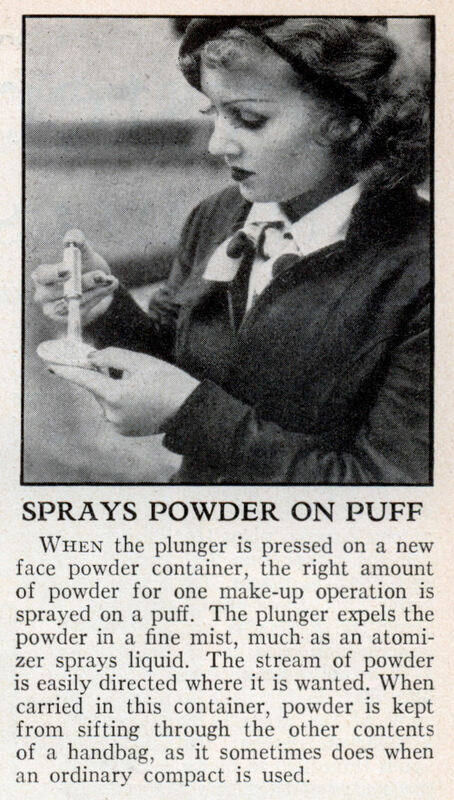 No place to store the puff away, so the excess powder would get all over everything and the puff would pick up dirt in the purse? NO MIRROR??? 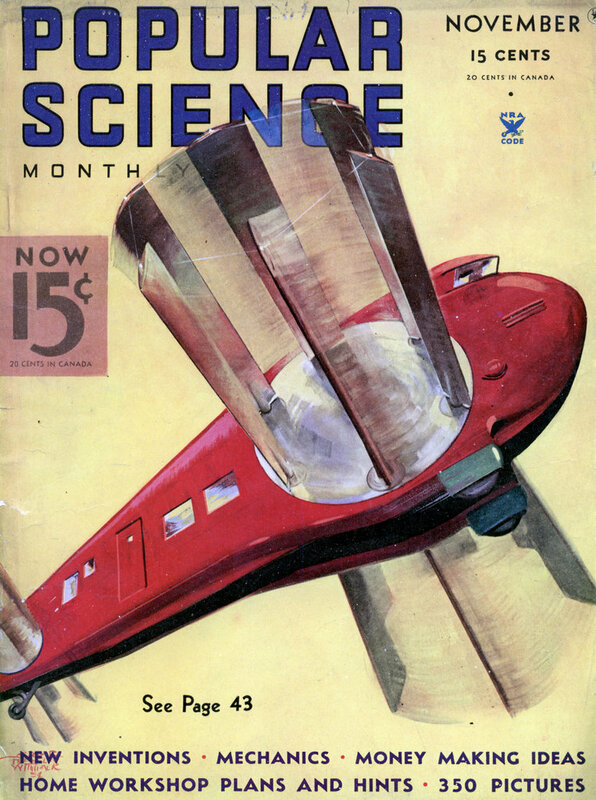 The solution wasn’t a gizmo that made powdering messier, more complicated, and less convenient while using too much powder. The answer was a more secure clasp for the compact.